Is this the reason Charlize gave Sean the boot? 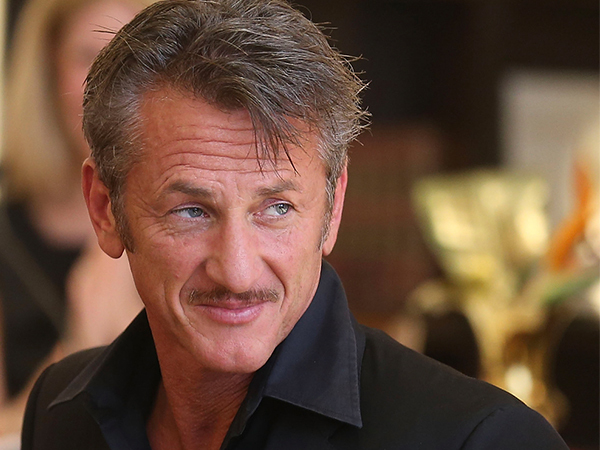 Sean Penn's friendship with Minka Kelly was apparently a bone of contention for Charlize Theron. Sean and Charlize called it quits last month, after dating for 18 months. The pair have been friends for 18 years, and it was thought they had even become engaged. In the wake of the split Sean has been seen getting cosy with actress Minka, with sources revealing they first met at the second annual Sean Penn & Friends Help Haiti Home Gala in January 2013. "They hit it off and had instant chemistry," the insider told America's OK! magazine. "Sean kept in touch with Minka and made a point to check in often. It was a bone of contention with Charlize." Last month Sean was spotted helping Minka celebrate her 35th birthday at Californian restaurant The French Laundry, which is normally a hard spot to make reservations at. Minka uploaded a snap of her blowing out a candle, telling her Instagram followers that her celebrations were off to a magical start. "Sean pulled some strings and paid for everything. He's pulling out all the stops to impress her," the source said. It's been claimed that Sean and Charlize split because of their different views on marriage. "Charlize fell for Sean hard and it was a very passionate relationship from the start. But in recent months they've been arguing and Charlize realised it just wasn't going to work. She made up her mind - and once she's done that, there's no going back. They have been butting heads about marriage for some time. She said they didn't need paperwork to prove their love, but Sean was really pushing for a ceremony," a source recently told British magazine Grazia.